While Thailand undergoes a sensitive transition with the October funeral for its head of state, the widely respected and revered King Bhumibol Adulyadej, the Southeast Asia constitutional monarchy, home to 70 million and one of the strongest regional economies, continues forward with solid footing in its, and the region's realignment with its neighbours and East Asia, particularly China. 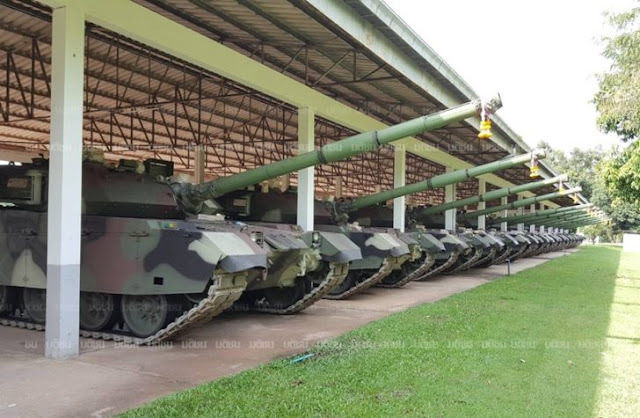 The Royal Thai Army took delivery this month of the first 28 Chinese-built VT4 main battle tanks (MBTs), with possibly over 100 additional tanks to be acquired in the near future. The growing fleet of VT4 MBTs joins other Chinese-built armoured vehicles in Thailand's inventory including over 30 VN-1 and over 450 Type 85 armoured personnel carriers. The acquisition of Chinese military equipment by Thailand's armed forces also includes 3 submarines as well as joint-development of multiple rocket launchers. There is also a growing number of joint Thai-Chinese military exercises including Blue Strike 2016, which followed Falcon Strike 2015. The exercises involved both nation's marine and air forces respectively and represent an alternative to what was once the United States' exclusive domain in Southeast Asia. In addition to growing Thai-Chinese military ties, both nations are moving forward with infrastructure projects including massive railway initiatives. 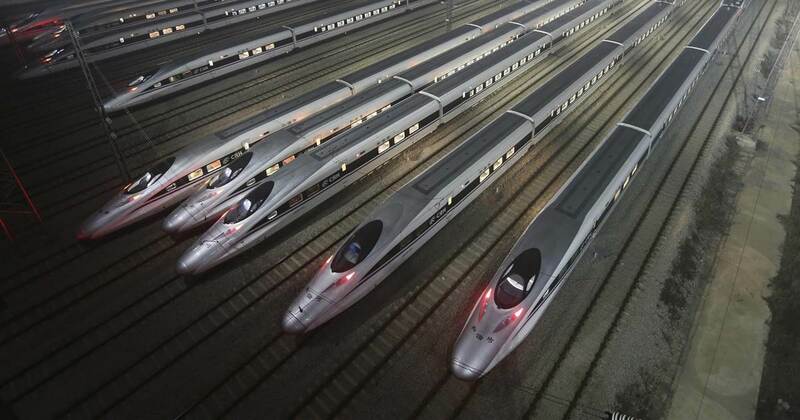 Construction is set to start in November of this year on the Thai-Chinese high-speed rail network. The first stage will link Thailand's capital of Bangkok to the northeast province of Nakhon Ratchasima. Eventually, China and its Southeast Asian neighbours plan to create a high-speed rail network running from China all the way to Singapore via Laos, Thailand and Malaysia. Construction in Laos is already underway. It is clear that Bangkok benefits from its growing relationship with Beijing. Washington, which openly and for decades has sought to hinder Beijing's regional and global rise, has little to offer as an alternative. Worse still, Washington has filled the void left by its inability to offer constructive military and economic ties with a regiment of political interference, coercion and even confrontation. Bangkok is home to numerous foreign governmental organisations posing as "independent" nongovernmental organisations (i.e. Prachatai, Thai Netizens, Thai Lawyers for Human Rights, the New Democracy Movement and iLaw) fully funded by the United States government and a number of private US and European-based foundations, serving US and European interests. These foreign fronts seek to pressure the Thai government to adopt a system of economics and government that interlocks with and is subservient to US and European institutions, while overwriting Thailand's own independent institutions, particularly the military and the constitutional monarchy. Additionally, the US has attempted to push through one-sided free trade agreements including the Trans-Pacific Partnership (TPP) which eventually unravelled and was abandoned by Washington itself. Image: Disingenuous foreign-funded fronts hiding behind rights advocacy used to project US power and influence into Thailand are a poor substitute for the sort of economic and military cooperation China has chosen and goes far in explaining America's waning influence in Asia Pacific. Thailand, which possesses a unified population, a formidable military and a strong, resilient economy, has weathered multiple attempts by the United States and its European partners to impose a client state through politicians like the recently ousted Yingluck Shinawatra and her brother, Thaksin Shinawatra. However successful Thailand has been at thwarting these attempts, the Shinawatra's political party, Pheu Thai Party (PTP), still enjoys impunity from the law, both because of the wealth and influence the Shianwatra family and its political allies still hold within Thailand through their many and immense business holdings, as well as the party's foreign backing, primarily through the large and growing network of foreign governmental organisations posing as nongovernmental organisations in Thailand. It is likely that attempts to once again install a PTP-led government and roll back progress the Kingdom of Thailand has made out from under US hegemony over the past decade will begin in earnest after October when funeral rites for King Bhumibol Adulyadej are completed. 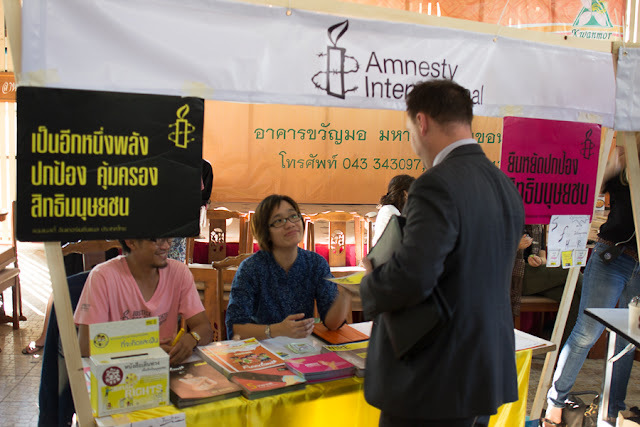 US and European funded organisations have already spent the last year attempting from various axes to find and exploit various divides in Thailand's sociopolitical landscape, including through student groups, sectarian divides and tired "pro-democracy" themes that have long since played out elsewhere around the world as an insincere façade used by special interests to advance their own agenda, not the agenda of actual representative governance. With the relative success for US and European interests in Myanmar in hindering joint Chinese progress, including the reversal or delay of several major infrastructure projects and the ongoing violence in Rakhine state precisely where Beijing had hoped to create one of many hubs for its One Belt, One Road initiative, Washington, London and Brussels perhaps believe there is still time to replicate similar obstacles in neighbouring Thailand as well as in Cambodia, and even Laos. 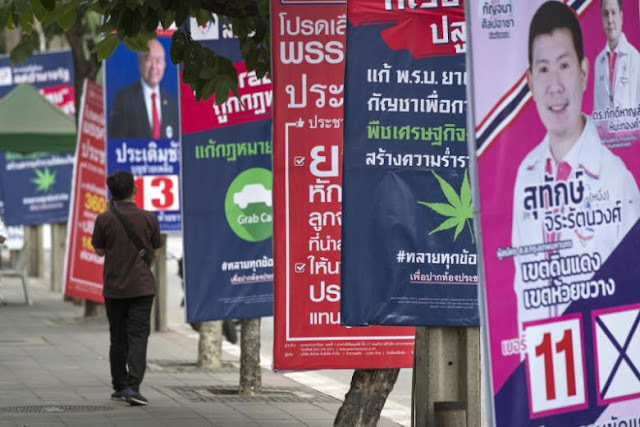 In essence, Thai-Chinese ties represent constructive but cautious steps toward creating a new political order in Asia Pacific, one in which nations in the region, not beyond it, determine the socioeconomic norms within and between each nation. Infrastructure projects will transform the face of Asia much in the way they have transformed China itself. The creation of ultra-modern mass transportation, energy projects, the economic growth that will result from both, coupled with local, efficient and modern defence technology will first incrementally force foreign influence from Washington, London and Brussels to the peripheries of Asia Pacific's socioeconomic landscape, before permanently pushing them out all together. In the future that Thai-Chinese relations represents, Washington, London and Brussels will approach Asia Pacific with mutual respect and for mutual benefit, with the poor habits established by centuries of first European, then American colonisation finally exorcised from the policies executed by each nation's respective foreign affairs offices, and their embassies dotting the Asia Pacific map. More than that, the rise of Asia illustrates how alternative economic circles of power in turn create alternative political circles of power. It illustrates the necessity of nations acquiring and leveraging technology to drive economic progress, a process essential both for prosperity, but also in terms of national security and peace. It also illustrates how the rise of Asian corporations, institutions and enterprises (both state and private) and the preservation of well organised national institutions like those in Thailand have created the very sort of global balance of power unipolar globalisation had promised but ultimately, and some may say predictably, failed to deliver. For China and Thailand, both nations face concerted efforts by the Western proponents and chief benefactors of globalisation to hinder real progress and instead perpetuate their existing international political order. Thai-Chinese cooperation, and similar cooperation within Asia Pacific will continue this shift and balance of power, one that even Washington policymakers are beginning to admit is inevitable and who are already shifting from preventing it, to merely delaying it for as long as possible.